Happy National Pumpkin Day! I know, we have days to celebrate everything, but that’s a good thing! I think every day should be a celebration. When I think about pumpkin, my sweet tooth automatically goes to pumpkin pie and pumpkin bread. Now, those are certainly not the healthiest of snacks. So, let’s just talk about pure pumpkin – fresh, with nothing added, so not pumpkin pie filling. First, did you know that pumpkin is actually a fruit and not a vegetable? I know – I just learned that myself. Pumpkins also come in other forms besides the typical jack o’lantern orange color you are probably thinking about. A pumpkin can be yellow, white, striped, round, smooth, ribbed – you name it, a pumpkin can do it. Pumpkins are winter squashes, so they are dense and have a hard, thick skin. They also have a longer storage life than their counterparts, summer squash. This makes a fresh pumpkin an ideal squash for me, since I don’t always get my to-do list done and sometimes have to throw away fresh fruits and vegetables. This typically isn’t the case for me with pumpkins and other winter squash. 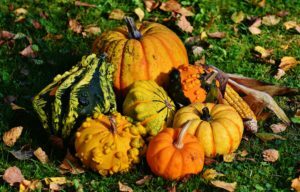 Is pumpkin healthy for dogs or cats? You bet! Pumpkin is probably one of the staples in most dog owners’ pet cupboards. I bet you already know that pumpkin is full of fiber and can help a dog or cat when he has loose stools or diarrhea. But be careful – too much pumpkin can go the other way. Fiber is tricky that way. 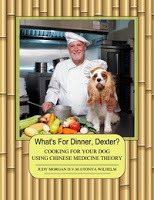 Try 1 or 2 tablespoons of pumpkin puree for most dogs and 1 to 3 teaspoons for cats. Pumpkin has you covered for that, too. Because pumpkin is rich in fiber, it can help move those nasty hairballs through your cat’s digestive tract. No need to use chemical hairball remedies when nature can help. If your cat is prone to hairballs, try about a teaspoon a day in his canned or raw food. Orange is the way to go if you are trying to fight off cancer. Pumpkins are high in the antioxidant beta carotene, which may help prevent cancer and heart disease. This amazing fruit also helps boost your immune system, which can help protect against disease. 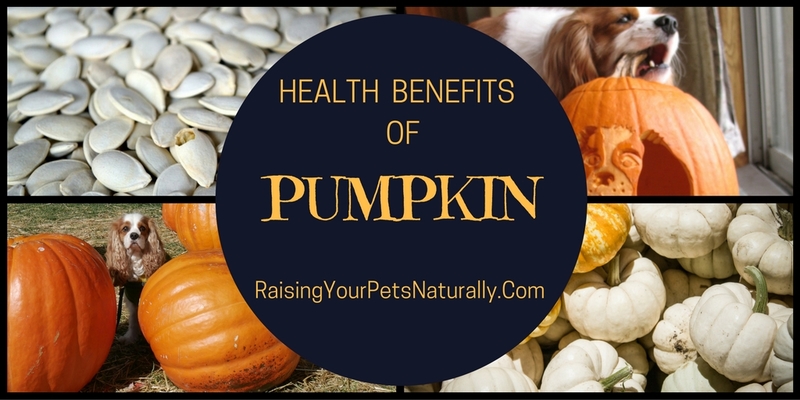 Adding pumpkin to your diet is also good for your skin and your pet’s skin and coat. Are pumpkin seeds safe for your dog or cat? Yes and no. They are safe and have benefits, but you want to make sure your pet does not choke on them. So, roast them in the oven (no salt) to dry them out, then toss them in a blender or food processor to turn them into a powder that you can safely sprinkle over your pet’s food. 1-3 teaspoons should do the trick. 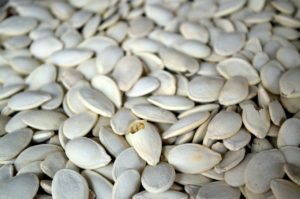 Are pumpkin seeds safe for dogs? So the next time you are looking at a cute jack o’lantern, think about how healthy that pumpkin is for both you and your pet! 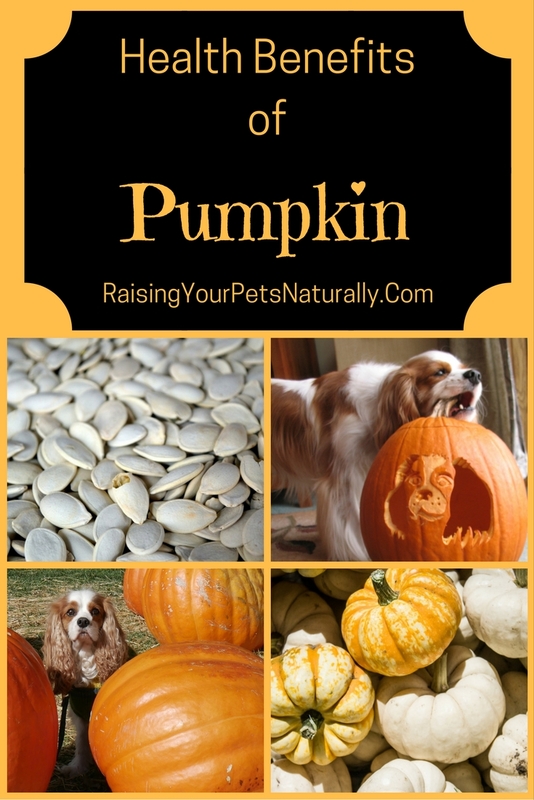 Have you used pumpkin in your pet’s diet? Tell me in the comments.